If you’re needing a quality fence company in Roanoke, TX, you’ve come to the perfect place. At Ware Fencing, we provide all types of fence repair, fence replacement, and fence installation for homes in addition to commercial properties. Our services are meant to help improve the curb appeal as well as the property value of your home or property, while also supplying you with a functional addition. No matter what your objective is for your new fence installation, you can count on our team to make your idea a reality. 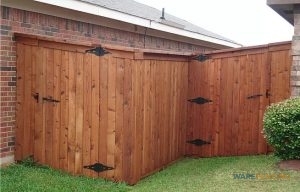 Call our crew of fence experts now at 817-948-4503 to discover more about our services, as well as your fence options. Our team has been servicing homes and businesses in this community for years, and we are a local fence company Roanoke can trust. We also provide expert farm and ranch fencing services, carrying reliable fence solutions for cattle, horses, and more. 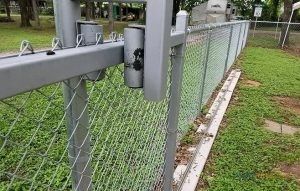 We provide a variety of residential fence options such as bamboo, chain link, as well as iron, also. Our cedar fences are among our most popular, as a rustic suburban aesthetic, and our aluminum fences are a perfect choice if you are looking for a cost-effective yet functional safety fence. If you’re looking for additional security for your house, we do provide special security fencing, along with the traditionally secure wrought iron. Even if you need a custom fence design that you do not see listed here, you can count on us for the ideal fence. We work diligently to be a fence company in Roanoke, TX that our community can rely on. Ware Fencing is dedicated to providing top of the line customer service, in addition to utilizing high quality materials that are built to last. Every customer we work for gets a complete inspection, and we work hard to build fences to your exact specifications. If you would like to request a quote, or schedule your appointment, you can reach our crew at 817-948-4503! You can count on our team to meet your fencing needs, regardless of what they are.